Iggy Pop is an American rock singer-songwriter, musician, and occasional actor, who is often referred to as the godfather of punk. His role as the outrageous and unpredictable frontman of protopunk band The Stooges influenced every single punk artist to follow. One of the most iconic rock stars in history, Pop was the premier unhinged exhibitionist of rock ‘n’ roll. He has also appeared in sixteen movies. Born “James Newell Osterberg, Jr.” in Muskegon, Michigan in 1947, his father was a former high school teacher and baseball coach. Pop developed an early interest in music and learned to play drums while in his early teens. He played drums for a number of high school bands before launching his musical career. After relocating to Chicago, Iggy Pop formed the Psychedelic Stooges in 1967. The band’s name shortened to the Stooges and their eponymous debut album came out in 1969. Produced by John Cale of the Velvet Underground fame, the album spawned such proto-punk classics as “I Wanna Be Your Dog” and “No Fun”. The subsequent releases of the Stooges, Funhouse (1970) and Raw Power (1973) – featuring raw, abrasive sound with furious, insolent lyrics – had a far-reaching influence on the development of punk rock. Pop’s charismatic stage persona inspired hundreds of later performers. After the breakup of the Stooges in 1974, he embarked on a successful solo career. Pop released two highly acclaimed solo albums produced by David Bowie – The Idiot and Lust for Life – both of which achieved widespread commercial acceptance. He continued recording and touring throughout the 1980s and ’90s, often shifting musical directions. In 2003, Pop reunited with the Stooges, launched a worldwide tour, and released a live album. Iggy and The Stooges also played the Glastonbury Festival in 2007, performing old material as well as new songs from their 2007 album The Weirdness. 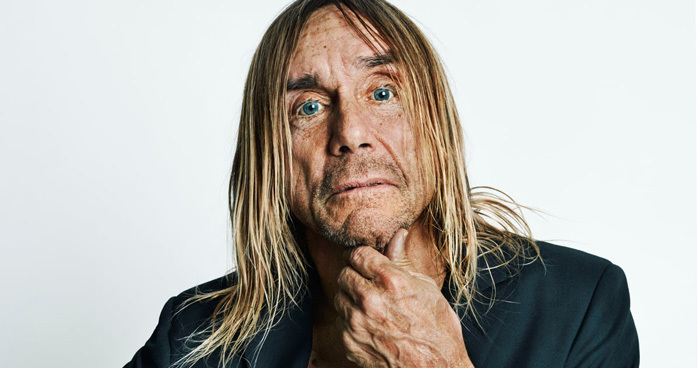 Iggy Pop has won several awards and accolades in his career, including a Kerrang! Hall of Fame Award, and a Marshall Classic Rock Roll Of Honour Award. He was induced into the Rock and Roll Hall of Fame with the Stooges in 2010. Iggy Pop has been married thrice: to Wendy Weissberg (1968-1968), Suchi Asano (1984–1999), and Nina Alu (2008-present). He has a son, Eric Benson, born in 1970 to former girlfriend Paulette Benson.